MEMPHIS, Tenn. -- Thanks to a collaborative effort between the International Hot Rod Association and Motor Mania TV, the IHRA is pleased to announce that the IHRA Summit Racing Equipment World Finals from Memphis International Raceway will be broadcast live exclusively on IHRA.com the weekend of October 11-12. Both days of the Summit Racing Equipment World Finals will be broadcast live through a special partnership with Motor Mania TV as the Summit SuperSeries, Summit Tournament of Champions and the complete Nitro Jam professional show will all be seen live and uncut throughout the weekend on IHRA.com. Last year the live broadcast received over 35,000 views from 25 different countries and from as far away as Russia all tuning in live to watch the IHRA crown its champions. It was an exciting weekend, not only for the IHRA, but for all racers as the extreme success of the live broadcast opened the door for a repeat broadcast this year as the IHRA continues to showcase its racers in new and exciting ways. "We are certainly excited to once again broadcast this incredible weekend live. Last year we were very excited to broadcast live, but the results far exceeded our expectations," said Skooter Peaco, IHRA VP of Race Operations. "To know that thousands of people around the world tuned in to watch this incredible competition is really exciting and says a lot about the prestige of this event and the skill level of these racers." In all over 35,000 hits from 25 different countries pushed the World Finals into a category all its own for first-time events and the unique fan base, one that not only included the United States and Canada, but Mexico, Australia, the United Kingdom, Brazil and Russia, added a little extra flavor to an already thrilling event. "The coverage in Memphis garnered over 35,000 views and, for a first-time event and considering the fact that it was a two day race, those numbers are really very, very impressive," said Mark Walter, owner of J-Angel Productions. "The viewership was mainly based in the U.S. and Canada, but we literally went around the world. Everything has come together all at the same time for us, it has been like a perfect storm and that is great for us and the organizations and their sponsors that feature our coverage. "Streaming technology has come a long way. The basic concept of taking a camera and sending the feed through a computer hasn't changed much, but the quality that we are able to achieve these days is so much better than it was just a few years ago." That technology will include two days of uninterrupted live racing that features multiple camera angles, live scoring and live audio straight from the event. 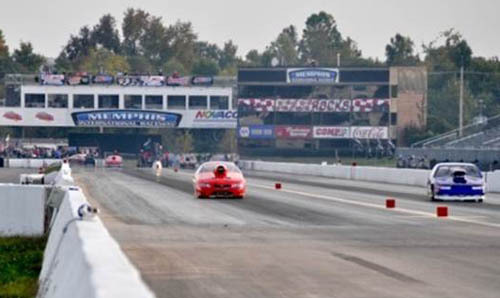 The 2013 IHRA Summit Racing Equipment World Finals will feature two full days of championship drag racing. Sportsman racers will crown world champions in 10 classes in the Summit SuperSeries and Summit Tournament of Champions races, while professional competition on the Nitro Jam tour will be conducted in Top Fuel Dragster, Prostalgia Nitro Funny Car, Fuel Altered and Nitro Harley. The evening will close with fireworks and a showdown between the Grave Digger monster truck and the 30,000 horsepower Super Shockwave jet-powered '57 Chevy. 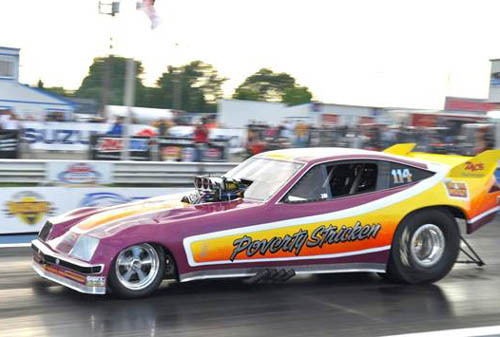 For more information on the IHRA Summit World Finals and the live broadcast, check back with www.ihra.com for more details.